In this more nuanced world, shopping center developers, owners, and managers are charged with understanding what drives footfall as well as focusing on tenant mix and an improved service offer. Richer and more dynamic experiences lie at the heart of fulfilling this challenge and is something we carefully consider with regard to all of our shopping centers. Consumers are increasingly looking for spaces where they can find answers to a range of needs, such as well-being, leisure, and even personal matters. The health and personal care industry flourishes at shopping centers today, in the shape of health clubs, clinics, beauty bars, and more, both at traditional stores and in pop-up spaces. Pragmatic necessities – from dry-cleaning to paying bills – require a mix of dedicated units and concierge service desks. However, it is the growth of leisure at shopping centers that marks, perhaps, the greatest revolution of them all. Ranging from the creation of more attractive food halls to playgrounds, exhibition spaces, and even concert venues, these extended amenities enhance the shopping center experience, increasing dwell times and consumer satisfaction. 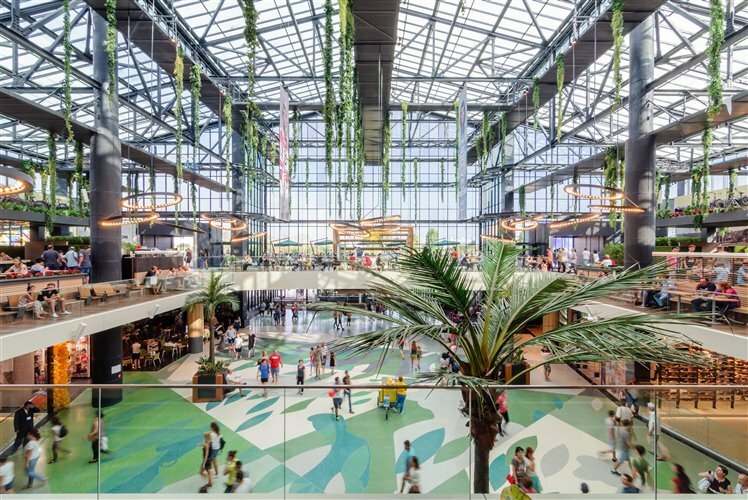 ParkLake Shopping Center in Romania is taking the leisure trend a step further by positioning itself as a gateway to one of Bucharest’s largest parks. The 70,000-square-meter scheme, developed and owned by Sonae Sierra and Caelum Development, sits on the edge of Titan Park. Through its design and offer, it has become a meeting point for those visiting the park as well as consumers drawn to its 200 shops and other attractions. Central components to this connection are ParkLake’s glass-encased, 3,000-square-meter food court and its 2,000-square-meter terrace overlooking the park, which are designed to encourage customers to dwell. Included in the food court design, which reflects the natural theme and family focus that runs throughout the center, are open spaces for seating as well as quieter zones for as few as three to six people. It also boasts integrated technical features that help provide a more ambient atmosphere, including a sound system, which absorbs much of the regular shopping center noise. Electric outlets are provided for those who want to work, and the center offers high-speed Wi-Fi. For those who wish to dine, the food court comprises a mix of international options, from sushi to Italian to local operators as well as fast-food outlets and seated restaurants. Overall, the food court has become one of the best-performing parts of the center, with at least 50 percent of visitors spending time there. In the future, if its use continues to grow, it can be expanded via the adaptation of areas built in during the design stage. Wherever we work, we want to see a sense of place reflected in the destinations we create, and exploring local culture and artistic expression is often the key. Since 2011, our Centro Colombo shopping center in Lisbon has featured a distinctive project called “A arte chegou ao Colombo” (Art Has Arrived at Colombo), which represents a natural and intuitive way of promoting cultural activities and events. Its aim is to make the works of great artists of national and international renown accessible to everyone. These kinds of initiatives help attract more visitors and clients, in addition to adding to consumers’ enjoyment and sense of well-being, ultimately generating superior sales and rents. 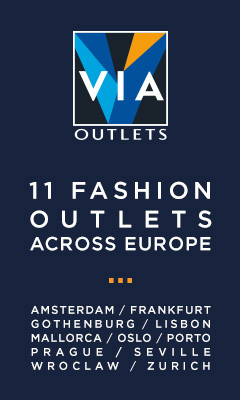 They help position our shopping centers as dominant retail destinations within their urban locations and as places that are truly in touch with customer needs.